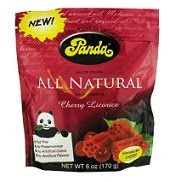 I think Licorice is a tasty food and I am finally happy to see it with all natural ingredients. It is nice to see that it comes in all sorts of flavors regardless of being all natural. I hope all fans of being healthy will enjoy this treat.